Diversity; from far stretching savannas to lush, green oases. You seek to experience a diversity of nature types while crossing the borders of Namibia, Botswana and Zimbabwe. 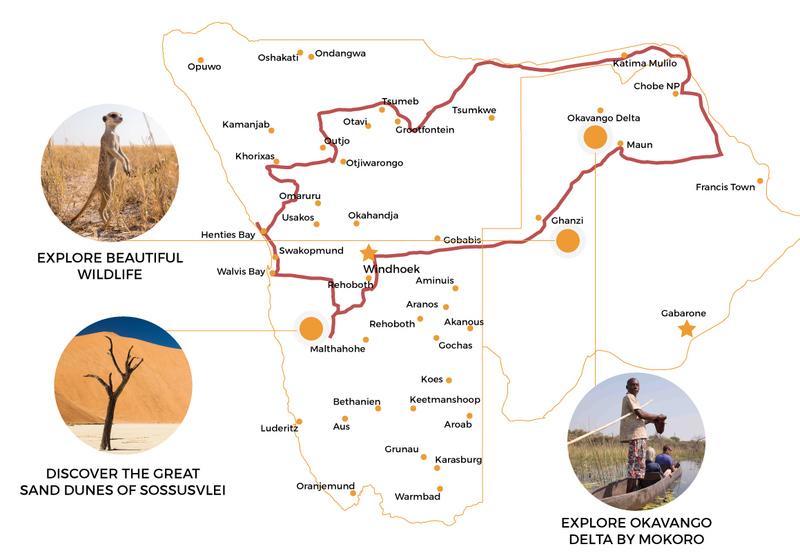 In Namibia, the journey will take you through the rusty red and brown landscapes of Sossusvlei and Damaraland. Go on a kayak tour or catamaran cruise on the Atlantic waves, to explore life away from the shore. Spotting wildlife at Etosha National Park is certainly not to be missed: you will be overwhelmed by the large numbers of animals! Once you enter the Zambezi region, not only the colors, but also life itself changes. Enjoy a stunning sunset while floating on the Kavango river, spotting hippo’s and crocodiles. Across the border you will be amazed by the nature of the beautiful Chobe National Park and the spectacular Victoria Falls. 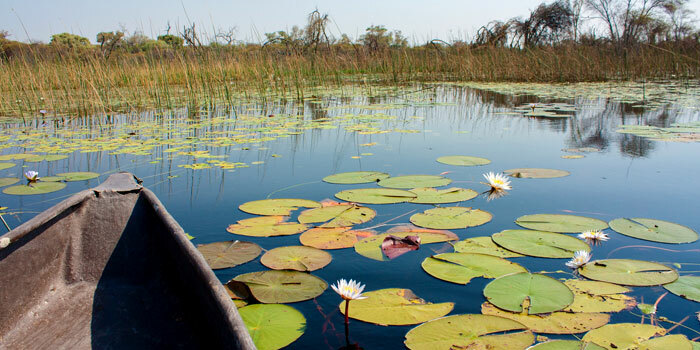 The journey is complete with a visit to the water world of the majestic Okavango Delta. After arriving in Namibia, you will stay the night in Windhoek. This will give you the opportunity to acclimatize, walk through the city center and prepare for the next day. You will start your self-drive adventure, heading towards your first destination: Sossusvlei. This part of the Namib-Naukluft Park is called “Namib Sand Sea”. Red dunes that are separated by sharp lines, and their contrast with an eye blinding white salt pan and dead black trees at Deadvlei: it almost looks surreal! 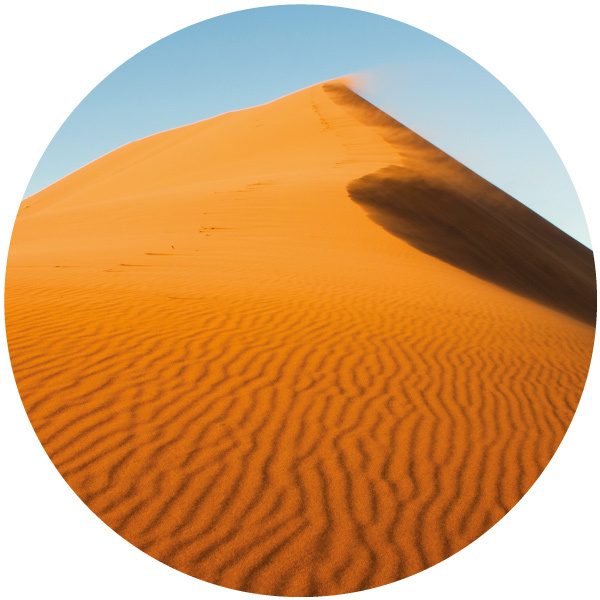 Climbing one of world’s highest dunes will be very rewarding, especially during an early sunrise or late sunset. A nature drive or a visit to Sesriem Canyon are good ways to explore the surrounding area. Enjoy a nice sea breeze at the Atlantic Coast while strolling around the coastal town of Swakopmund. The coastal town of Swakopmund is still showing some influence of colonial times represented in architecture and language. It is a small village with a small but pleasant boulevard with some nice restaurants and terraces and several lunch rooms with an international taste like Village Café. Although Swakopmund itself is an urban area, it is surrounded by nature, offering plenty of experiences for nature lovers and for thrill seekers: a kayaking tour or catamaran cruise to meet seals, pelicans and maybe even dolphins! Adrenaline seekers can take a sand board or quad bike and go into the dunes. 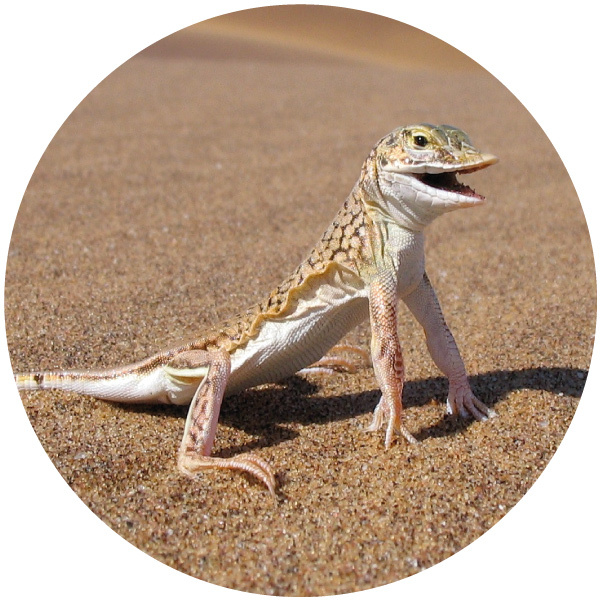 A “living desert tour“ is a great way to get more understanding of the miraculous way in which life adapts to the harsh conditions of the desert climate. Before leaving the coast, visit the seal colony of Cape Cross. Seals are all over lying along the coastline and are playing in the waves for as far as you can see! When heading north, the landscape changes when entering beautiful Damaraland, where an enormous mountain emerges: the Brandberg. 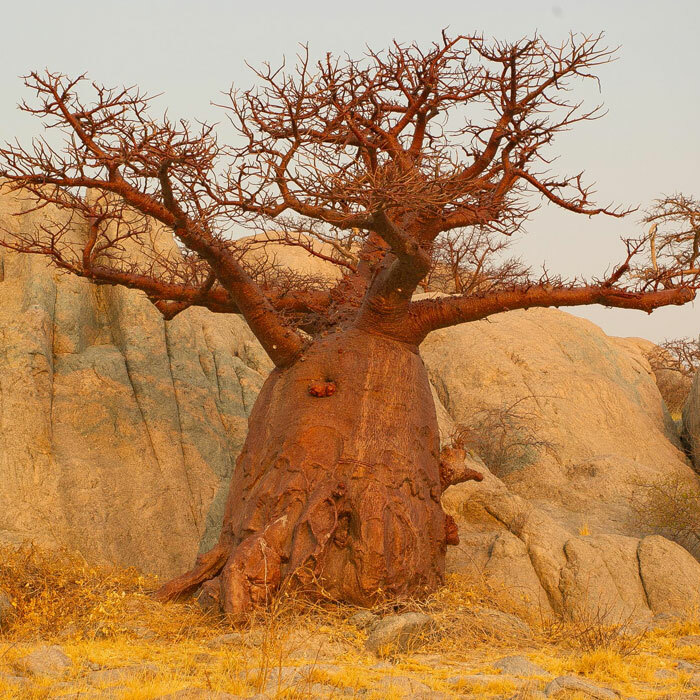 It is the highest mountain of Namibia and best known for its ancient “White Lady“ rock painting. 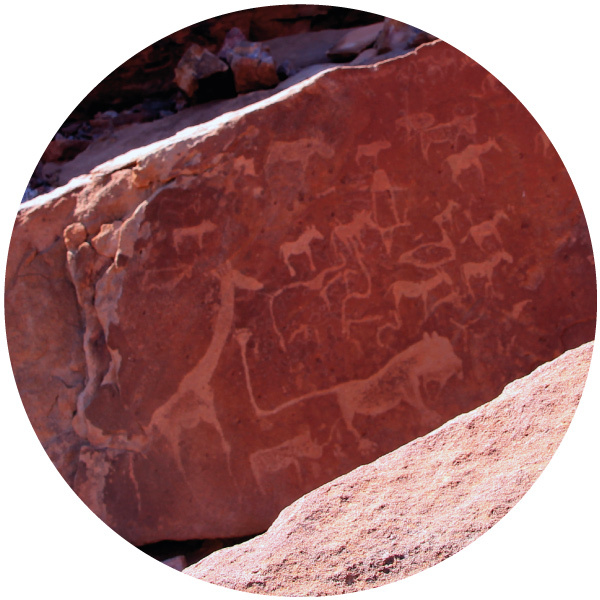 The ancient landscape is scattered with giant boulders that hide the area’s main secret: the more than 2,500 rock engravings of Twyfelfontein. Once made by the San people, these engravings informed San tribesmen about nearby waterholes and predators. If you are lucky, you might bump into the largest inhabitants of the area, the mysterious desert elephants. These beautiful animals have remarkably adapted to the harsh conditions of the desert. Prepare yourself for a large number and diversity of wildlife! It is time to enter Etosha National Park. 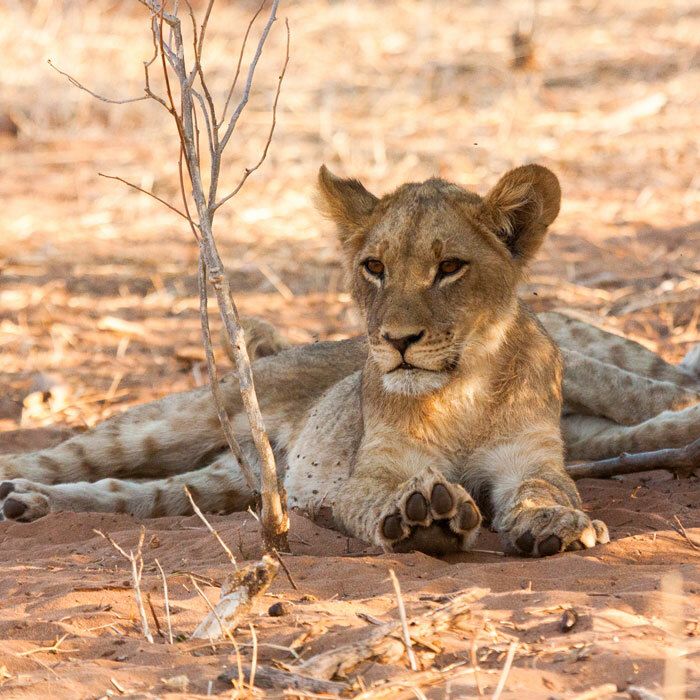 These 22,270 square kilometers of protected nature form one of Southern Africa’s largest national parks. You will be the driver of your own safari, which is unique in Africa. However, camps in and around the park do offer guided game drives. The animal world of Etosha National Park is overwhelming. 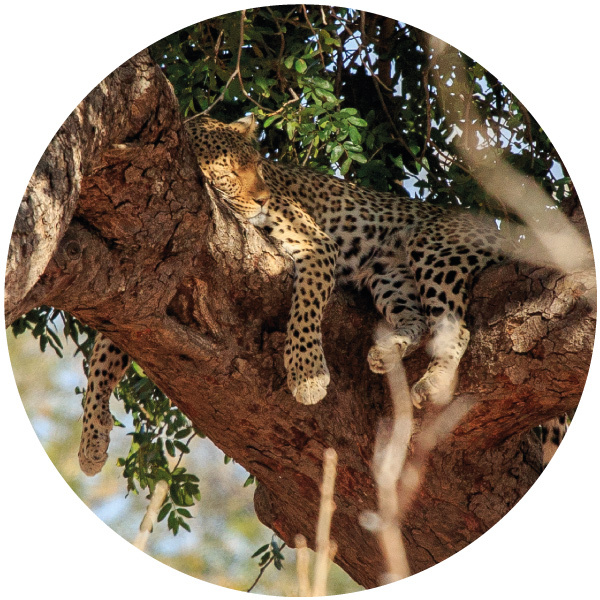 Grab your binoculars and see if you can spot lions, cheetahs and maybe even leopards. In the late afternoon, settle down at one of the park’s waterholes and let the animals come to you: elephants, giraffes, zebras and antelopes will gather to relief themselves from thirst. 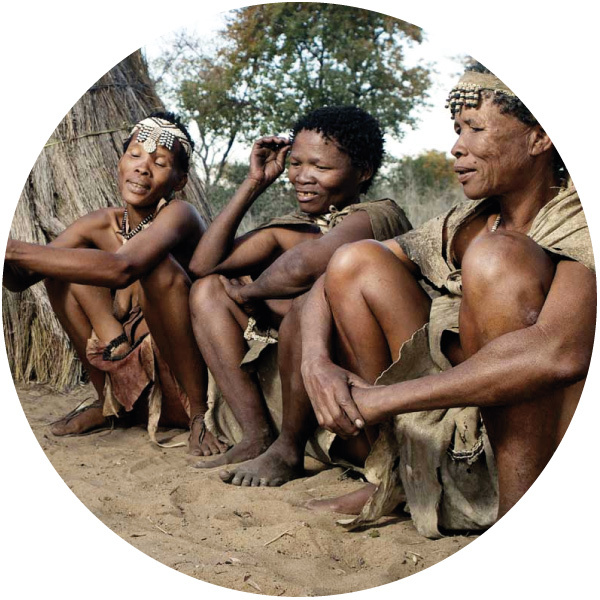 Near Grootfontein, you will be able to visit a San-village, where you will get to know everything about their intriguing and ancient hunter-gatherer culture and lifestyle. When you have an extra day to spare, it is surely worthwhile to stay the night. When driving towards the Zambezi region, you will cross the veterinary fence north of Grootfontein. Directly after this checkpoint, you will see many villages and business along the road. As also the area is more densely populated you will experience a nice African atmosphere. 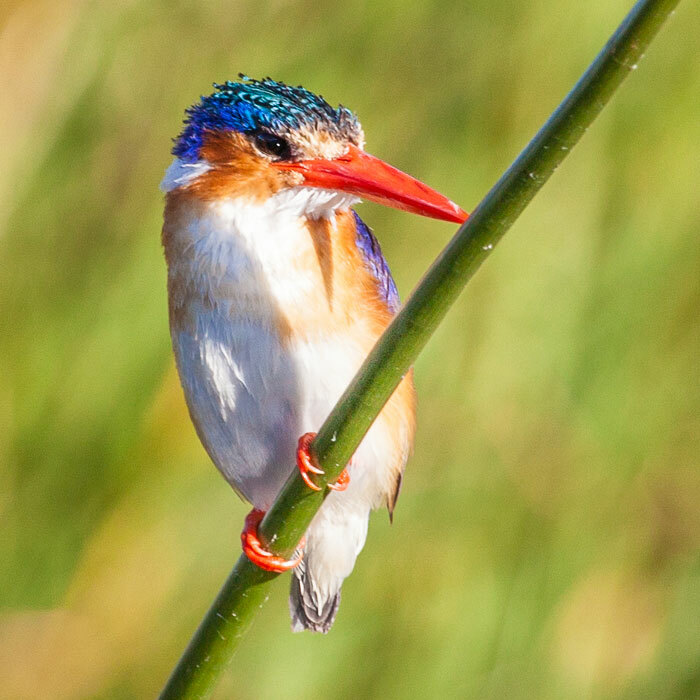 The dry landscapes of Namibia make place for a lush oasis of green woodlands and blue rivers of this area that is better known by its former name, the Caprivi Strip. 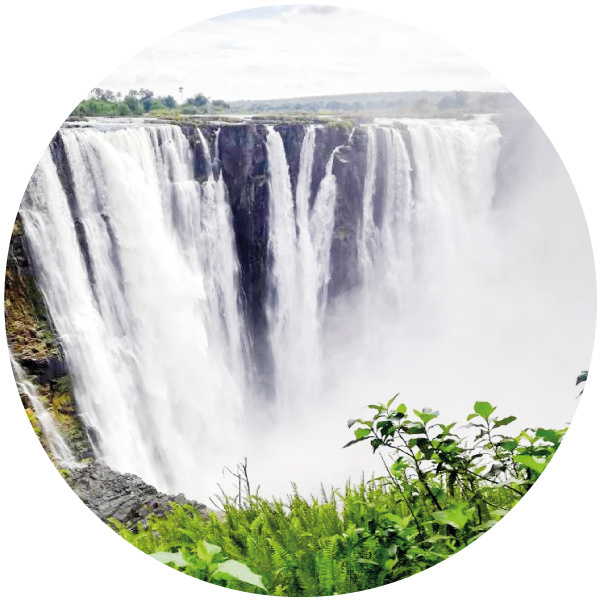 Join a boat cruise over the Kavango River or Kwando River during sunset and do not forget to stop at the small but elegant, tranquil Popa Falls. The national parks of Mahango and Mudumu are wonderful for safaris. 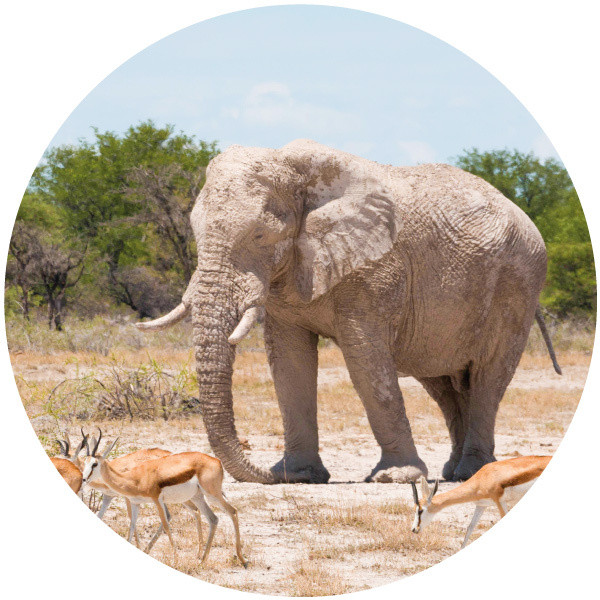 You will encounter other animal species than you saw earlier in Etosha National Park, such as roan- and sable antelopes, wild dogs, crocodiles and hippos. Traditional life in the Caprivi is again different from the life in the south and Damaraland. There are two living museums, close to Rundu and Kongola, which are definitely worth a visit. After crossing the border of Botswana, you will be staying in Kasane. This is the perfect base to visit Chobe National Park and its Chobe Riverfront, where you can drive around yourself or choose to join a game drive. You will be amazed by the number of elephants you encounter: up to 70,000 of these beautiful giants live in this area, making it the largest elephant population on the African continent. Take a nice lunch break at one of the picknick spots, however be aware of naughty monkeys! A true spectacle is the Chobe River, where you can see elephants bathing in the water from very close by during a sunset boat cruise. The Victoria Falls in Zimbabwe are a 2 hours drive away from Kasane, and will be definite highlight of your trip. Do not forget your raincoat! From Kasane you continue your journey in southern direction, where you can visit the enormous salt pans of Makgadikgadi National Park: the remnants of what was once a super lake. Although the area is usually dry, a bit of rain transforms the landscape into grassland savannah, attracting thousands of animals. You can encounter springboks, impalas, oryx, cheetahs, foxes and brown hyenas. Also groups of elephants, giraffes, lions and leopards can be spotted here. And look out for the shy meerkats! If you are hungry for some adventure, explore the pans by quad bike, and stay the night under the open sky (pre-booking required). Maun is the entrance gate to the Okavango Delta, the largest inland delta of the world. It shimmers as an oasis in the vast Kalahari Desert: nature here is overwhelming! 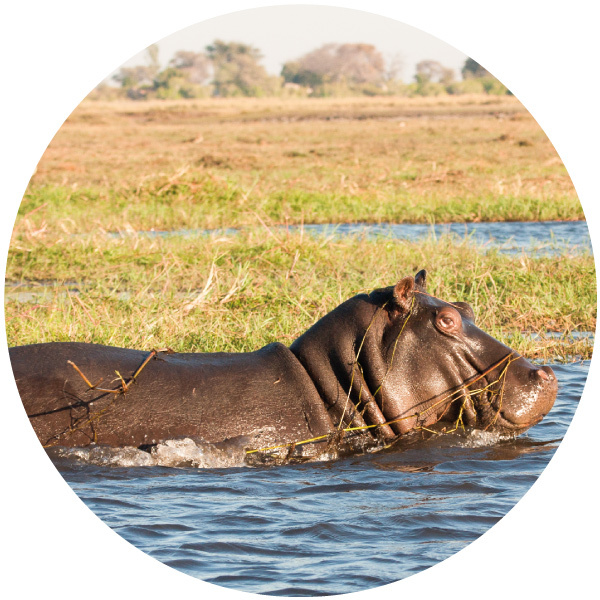 Step into a mokoro and see hippos, crocodiles, snakes, turtles and enjoy the silence and the clear delta water. Or take your own car and drive through Moremi Game Reserve, the part of the delta that is accessible for vehicles, and look for lions, leopards, wild dogs, hyenas, zebras, giraffes and elephants. Those who cannot get enough of this paradise can take a flight over this beautiful green and blue colored delta world. 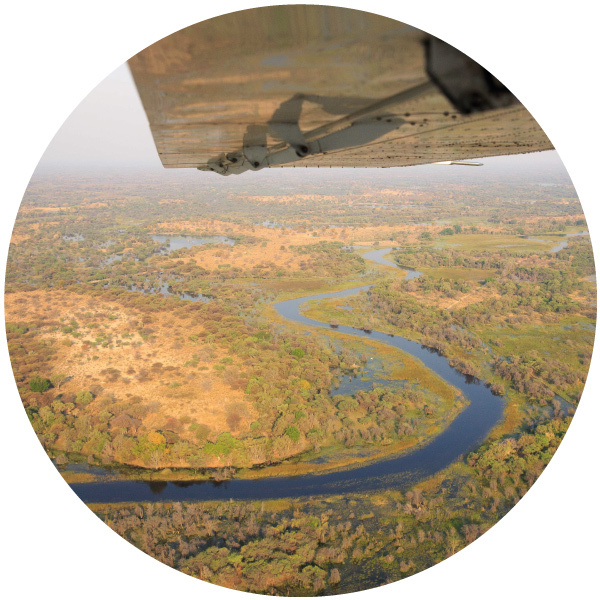 A great way to explore the Okavango Delta is by joining a mobile safari. This guided tour will bring you deep in the Delta. You will sleep in tents and will be guided along the sandy tracks and lagoons while searching for wildlife. Leaving Maun, your last stop in Botswana is Ghanzi. 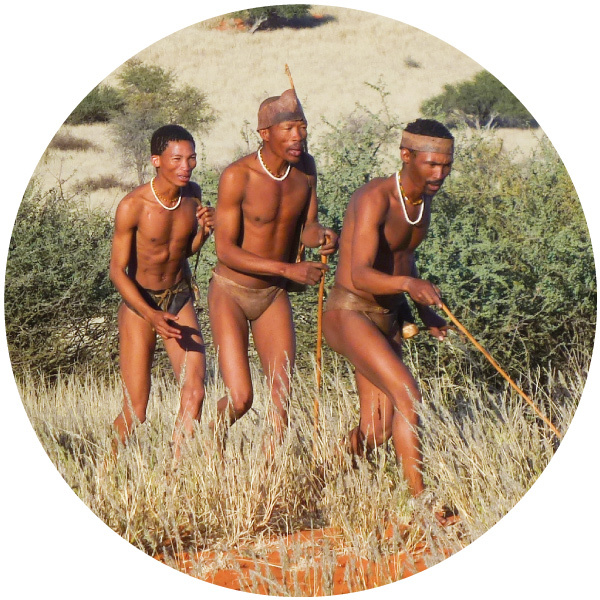 Here, in the Kalahari Desert, you have another chance to visit or stay at a San-village. Your adventure really comes to an end. In Windhoek, you will have the opportunity to relax and rewind and look back on a very successful and unforgettable holiday.